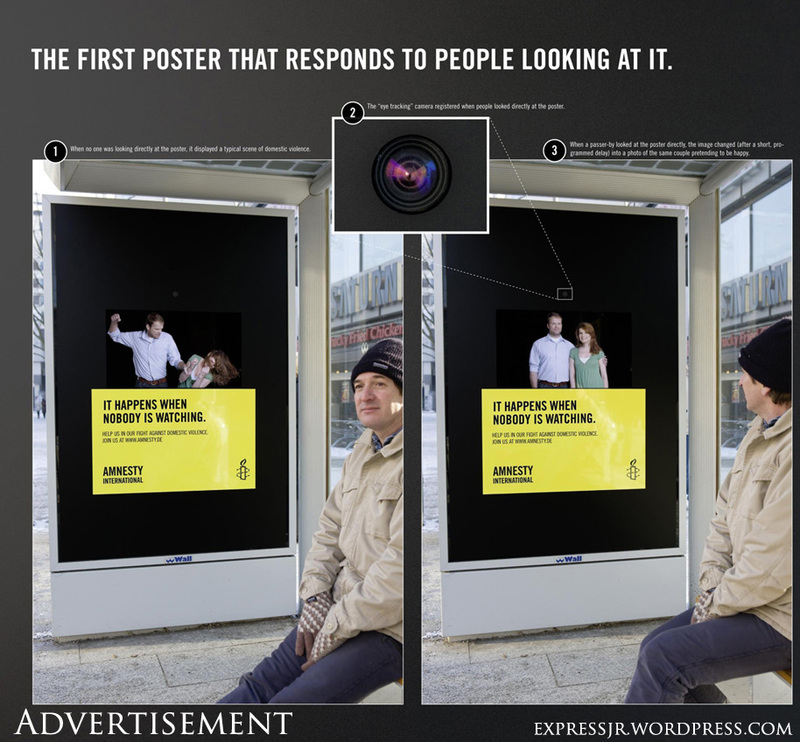 This is a very interesting, creative and technological ad from Amnesty International. In there new campaign to raise awareness of domestic violence, Amnesty International used technology at the service of marketing. When you don’t look at the poster, it shows a man beating his wife and as soon as you look at it the image change and you see a happy and ordinary couple. The moto of the campaign is “It happens when nobody is watching”. How does that work ? In the upper part of the poster there is a small discrete camera equipped with eye-tracking technology, that means that it can recognize wether you are looking at the bilboard or not. This is the first billboard that reacts when people look at it so I think this campaign marked an interesting point in both the marketing domain and the technological domain and it is a really interesting, creative and meaningful mixture of both.